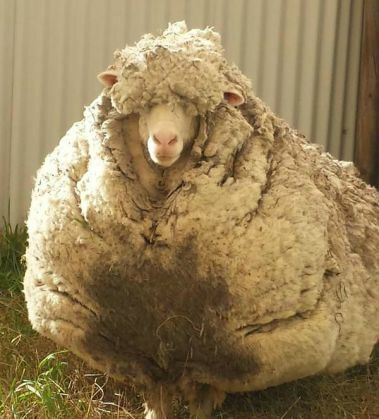 Rebellious runaway sheep creates world record, 40 kgs of wool shearedIn sheep-dom, Chris the merino sheep from Canberra, Australia, is by now probably a legend. While most of his brothers, sisters, cousins and other kin contributed regularly to our winter wardrobe by generously providing wool, Chris ran away and refused to part with his glorious wool for an unspecified length of time. Merino sheep are bred for wool, and are sheared every 12 months. On 1 September, Chris underwent a shearing operation to remove 40 kgs of wool after spending years in solitude. The shearing process was overseen by the RSPCA ACT, an animal welfare organisation. The sheep is now in recovery and is up for adoption. Strange as it may sound, this isn't the first time a merino sheep has eloped into the wild. In 2004, a sheep from a farm in New Zealand, called Shrek, ran away from 'home' and staged a stakeout at a cave for six years. After about 27 kgs of wool were sheared off him, Shrek created a world record and became a 'celebrity'.